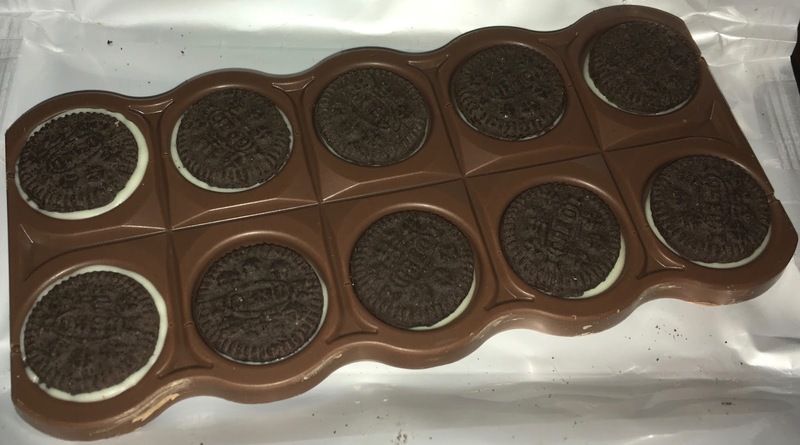 I almost didn’t buy this bar, I was suspicious of the “new” label because I know I have tried Oreo Dairy Milk before, but this bar did look rather different. Once I got it home and unwrapped the bar I have to admit it is a very different bar to the previous one I tried. The older version had an Oreo style filling, this new bar has actual mini Oreos weaved into the bar with a layer of Dairy Milk through them holding it all together. It does look very smart, and is very different to anything I’ve seen before. The next thing I tried to do was to break the bar into pieces to share, and this is where I found a bit of a design fault, the bar didn’t break up easily. 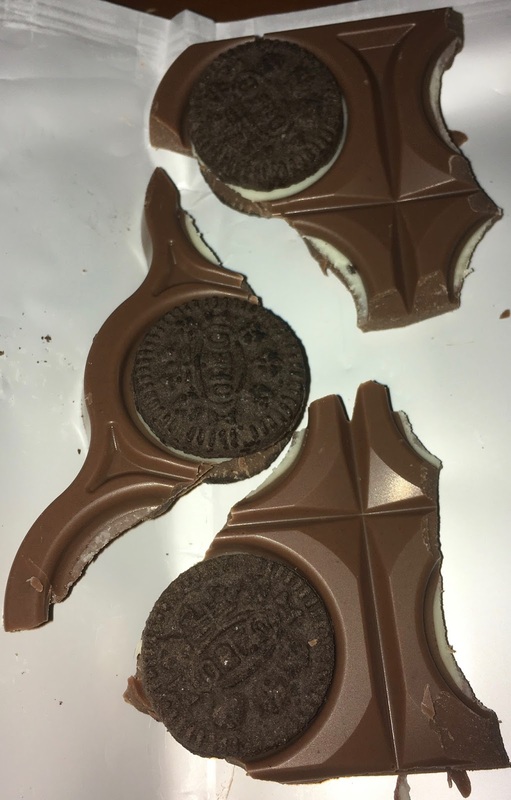 The mini Oreos made the chocolate break in a very uneven way and was rather difficult to then share out. Still we all grabbed some chocolate bits and gave it a taste test. As someone who loves a mix of textures I thought this bar worked really well. The crunch of biscuit, soft filling and firm Dairy Milk chocolate was lovely to munch on. 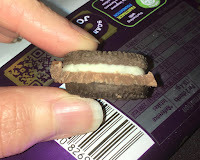 The flavour too was predominantly chocolatey, and the Oreo taste went really well with it. Sweet and satisfying. It makes a fab afternoon snack combining chocolate and biscuits, what more could you want. It was a pleasure to eat and rather moreish. If they could find a way to make it break into equal pieces for sharing it would then be perfect. Oreos with an extra layer of Cadbury Dairy Milk chocolate are indeed heaven!